We have raised $3,053.60 of our goal. Hello everybody! I just had another birthday; I’m a big girl now! 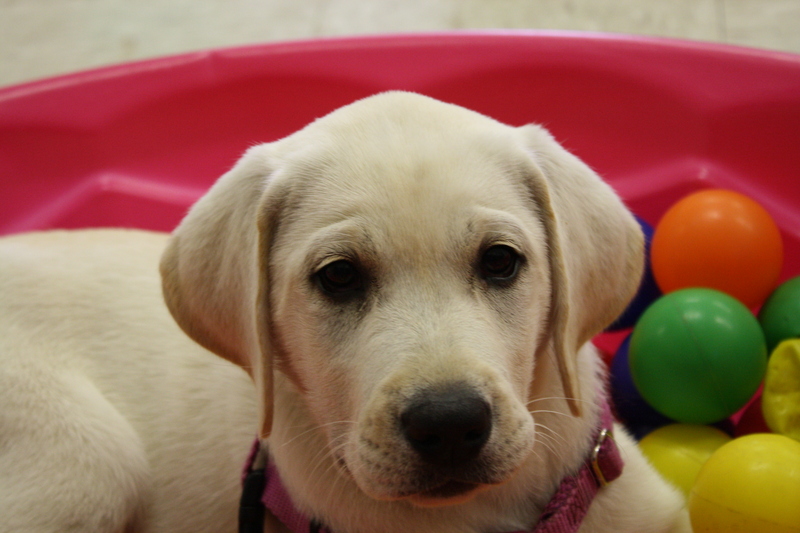 One of my favorite pastimes is playing and hanging out with my friend Angel and her handlers. We like to run around and compete. She thinks that she is faster than me, but she doesn’t know than I am just jogging. I have been working on the wobble board; I’m not a huge fan of it. My handlers think that they are pretty slick by trying to hide it in an obstacle course, but I still spotted it. However, when me and Angel were playing, we both ran around all over it. Well, that’s all for now, later guys! Hello Everyone, it’s me Pretty Girl Paulina! This year is going so fast. I’m nine months old now and growing. We have been training a lot this month, working on “Like Me’s”, taking off socks and turning lights on/off. During training I get to compete with my brothers and sisters and it feels great when I complete the training successfully. Have a great month and check back in March to hear about my progress. Hello everybody, it’s Paulina! 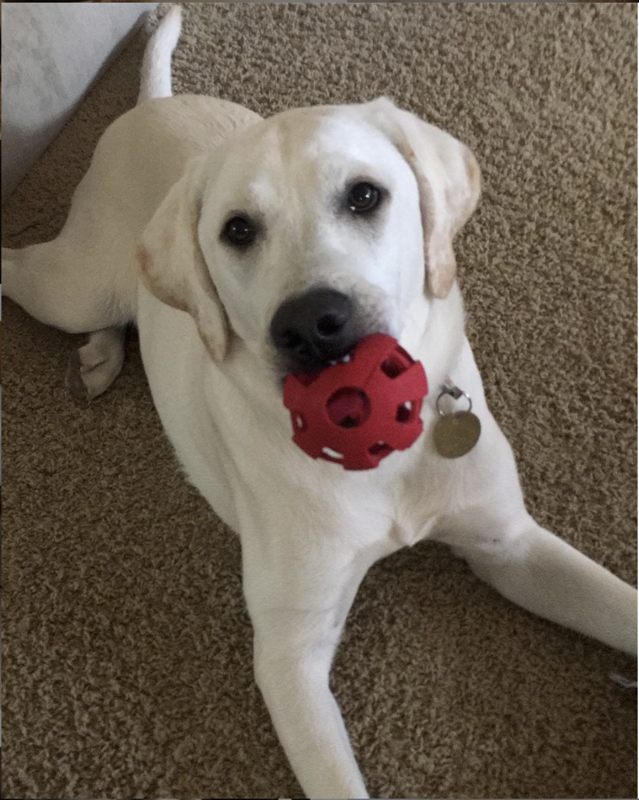 This month I’ve been working on retrieving. Well, at least, that’s what my handlers think. I pretty much have it down already, but I like to watch them show me how to do it, you know, just to be sure. I still need to work more on my “like-me”s, but I have my emergency recall “return” and “alert” down. I love getting to hang out with my puppy parents because that always treat me like a princess (which I am). I love them and my handlers Jamie and Carlos so much! I have to go now, but make sure to come back next month to see what I’ve been up to! Hello, everyone! It’s me, Pauline also known as “Pretty Girl”. I love my monthly bath and pawdicure because I love to always look my best on my weekend outings. You never know who’s going to want to take a picture! In school I’ve been working on my alerts and bracing. Bracing is a very important skill to learn. Someday my veteran or first responder may need help getting up and knowing brace will help me help them! There’s a lot to learn, but I’m doing my best. See you all next month! She has been working in finding and identifying objects and people. Which are cognitive and confidence building exercises. She has also been working on her "like me" where she learns to copy us. Paulines favorite activity is going to Forest Park to go play with her brother Cooper and Angel. She also loves to play with the frisbee. Hi everyone! Thank you for checking in with me. This month I turned 4 months old! Which means I got to go home for my first weekend with my new puppy raisers. It was awesome! I didn’t know my humans were friends with my brother Cooper's humans. We got to hang out a lot together on the weekend. We attended some fun adventures into this coffee shop that supports New Life K9s a WHOLE lot, called Top Dog Coffee Bar. It was really fun, the people really loved us. The things I have been learning this month include nose work and ‘like me’. I am super awesome at nose work. They hide treats in boxes and I have to find them. The ‘like me’ is where I copy my humans and do like them. I know what they are doing, but it doesn’t look very fun for me so I don’t always do it. They keep trying with me. One day I will humor them and actually perform. That’s all for this month! See you all next month! Every day I am learning something new. 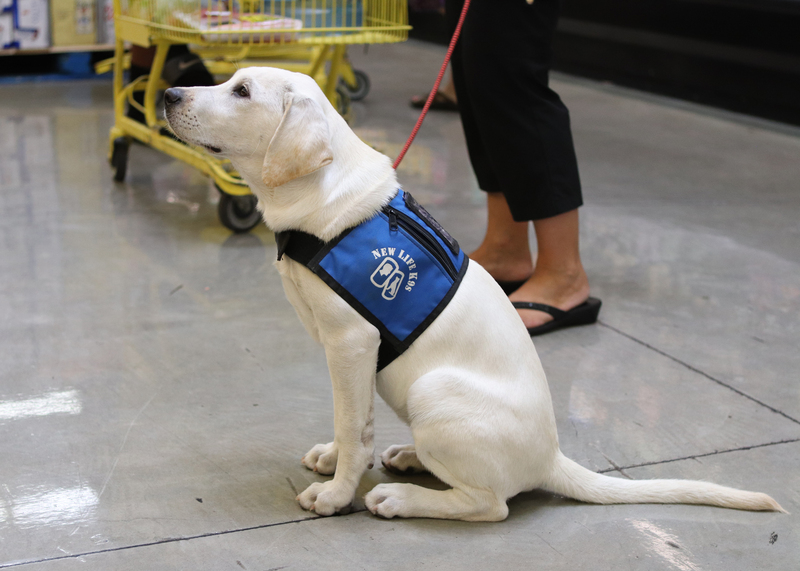 I am still very much a puppy and l’ve been learning the foundation of various skills that one day will help me become a service dog. I’ve learned my handlers names and names of different objects. I am learning my manners and not to eat food crumbs from the floor. I still pull on the leash, so I have been working really hard to stop doing that. 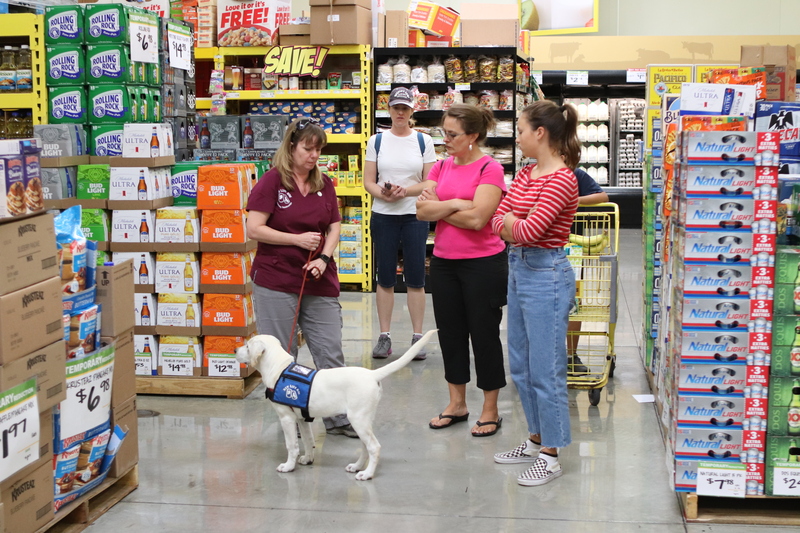 I also got to go to the grocery store and practice my skills with my family and the New Life K9s team!